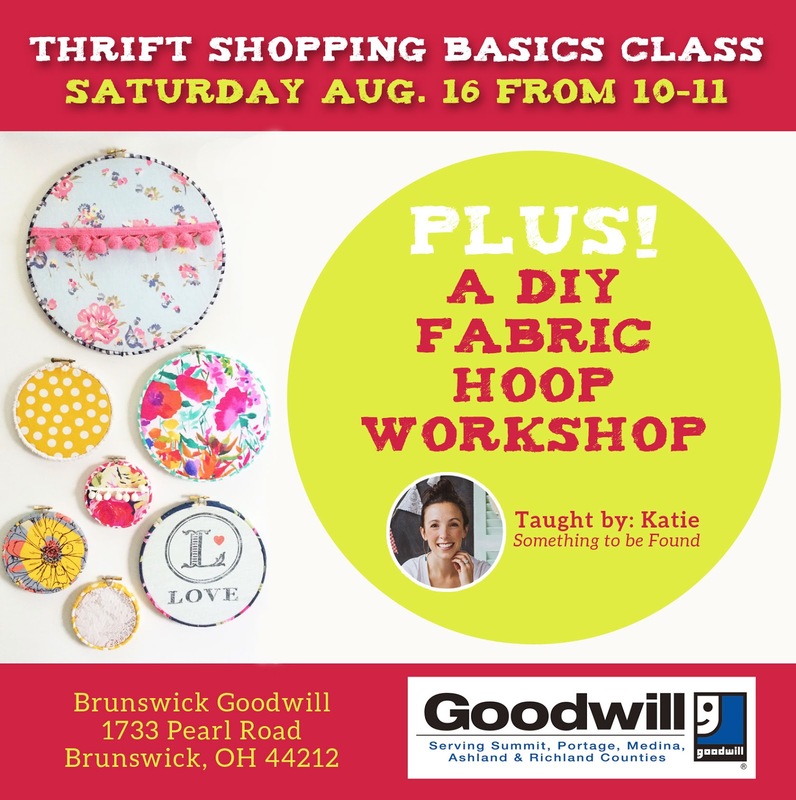 When Dina and I teach our “How to Thrift” class, one of the most important tips we give people is to come prepared with a list. It’s easy to get overwhelmed at the thrift store because of the mass amounts of stuff. It’s also easy to buy more than you intended… because of the mass amounts of stuff!! 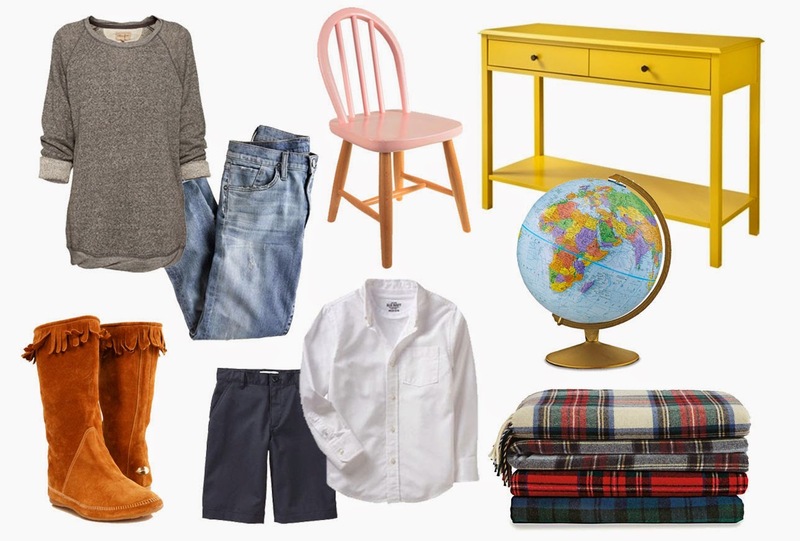 So in order to keep calm and not overbuy, create a thrift list! I keep my list on Pinterest so that I can access it from my phone anytime, anywhere. I always review the list before entering the thrift store and give myself a mental pep talk to stick to the list as much as possible. Of course I love the thrill of finding the unexpected, so I still leave a little wiggle room to take home a few special treasures. Flowy Tops – Much needed for post-pregnancy! Moccasin Boots – These have been on my list for years. I found THIS pair of BRAND NEW, never-worn, Minnetonka moccasins in my size at an estate sale last year so I am confident I will eventually find these boots. Cozy Sweatshirts – Worn with leggings and moccasins while sipping a cup of coffee. Yep, I’ll be wearing that every day this Fall! Jeans - I distressed THIS pair of maternity jeans for Dina's Reader Thrift Challenge and ended up wearing them throughout my entire pregnancy. Now I need to find a non-maternity pair that I can rip up and add a few holes too. Kids Snow Boots & Pants – These only get worn a handful of times each winter and then they grow out of them, so no need to invest big bucks in buying these items brand new. School Uniforms – I’m wayyy ahead of the game on this one. C doesn’t wear a uniform in kindergarten but he will starting in first grade. I will keep my eye out for navy shorts, navy pants, white polos and white dress shirts. 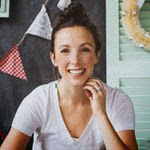 A skinny side table/desk – Currently our kitchen table serves as our family office which means I’m constantly moving lap tops around when it’s time to eat dinner. A skinny side table/desk is a MUST FIND for me! Vintage Christmas - I'll FINALLY be back at the flea this November for the Holiday show. I'm stocking up on all things vintage Christmas, especially plaid blankets, knit stockings, and ornaments. Favorites - I simply can't pass up globes, chalkboards, pennants, vintage trucks, kids chairs and vintage flash cards. So what’s on your thrift list? 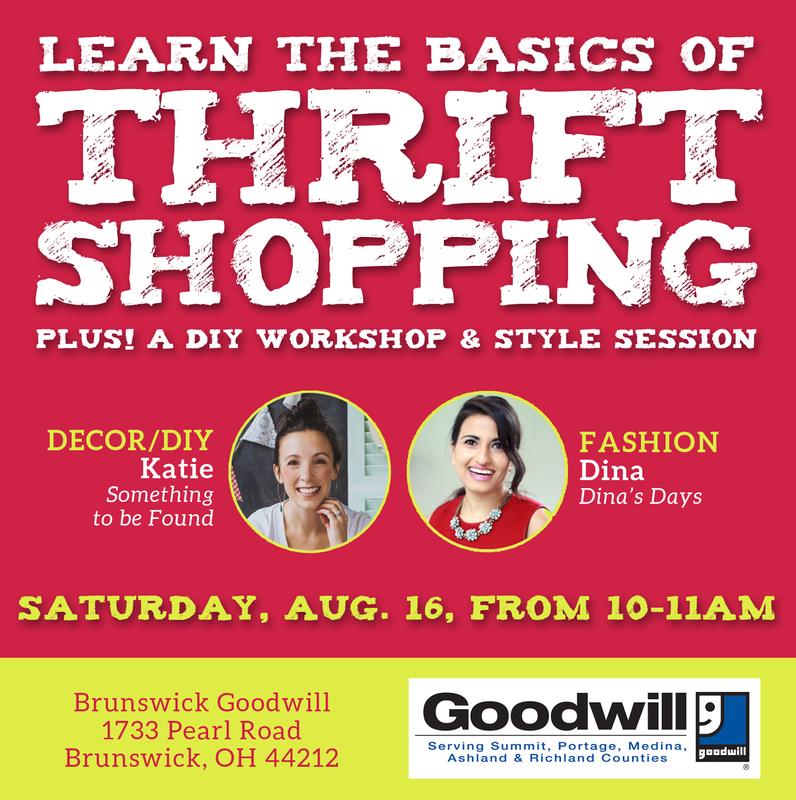 This Saturday from 10-11 Dina and I will be at the Brunswick Goodwill sharing our best tips and tricks for successful thrift shopping. 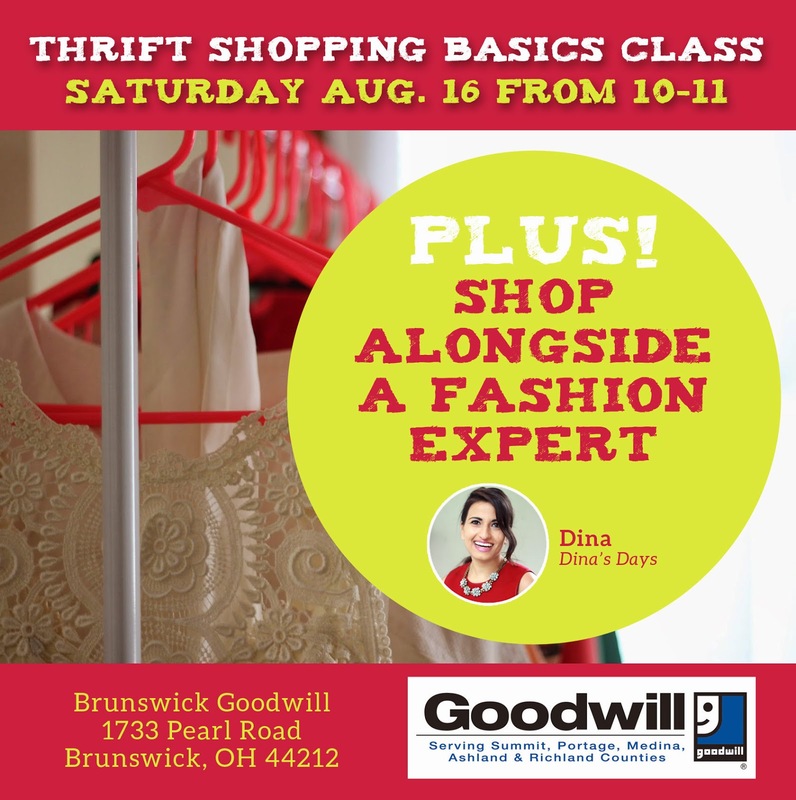 ...or you can shop with Dina out in the store and score yourself some fashionable finds!